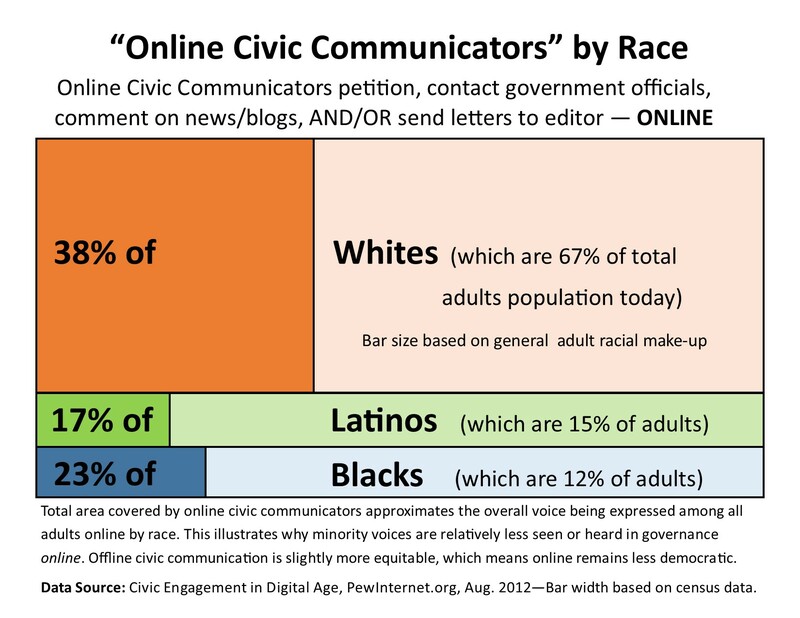 E-Democracy seeks to demonstrate that all communities, regardless of income and diversity, can be part of an integrated neighbors online revolution. The racial gap in “learning about a political or social issue” is less than with other measure where 46% Whites, 38% Blacks, and 34% Latinos did so. However, “taking action” based on what was learned about an issue has an almost 2 to 1 gap by race with 20% of Whites taking some kind of action compared to 12% for Blacks, and 11% Latinos.